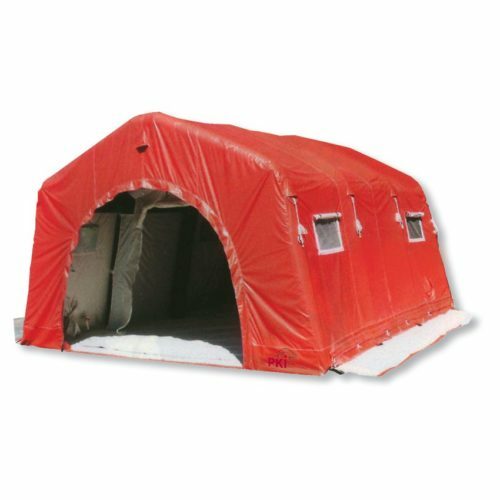 This inflatable tent can be used in any occasion where quick action is required such as accidents, first aid, necessary decontamination with a shower or as headquarter. The load-bearing, air-filled construction consists of both-side coated NBR fabrics. The tent comes complete with 4 windows, removable floor and additional ballast tanks for better stability on sealed surfaces.